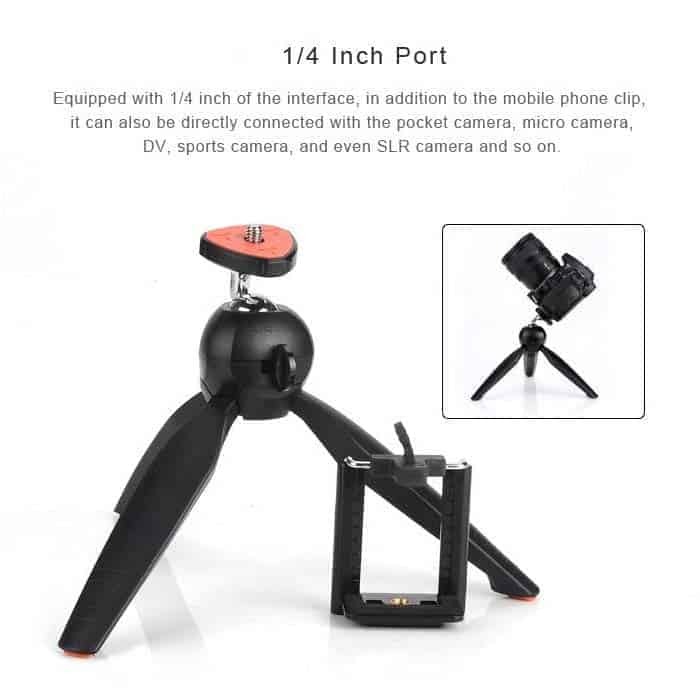 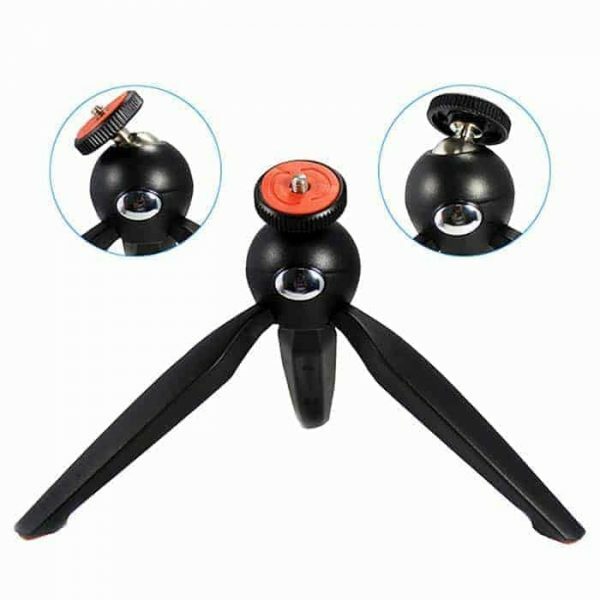 YunTeng PIXI Mini Tripod - for Phone, Camera, DSLR, etc. 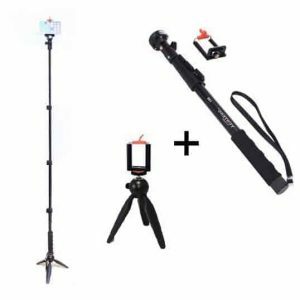 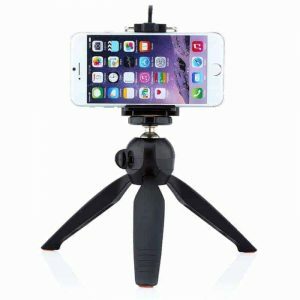 The black YunTeng PIXI Mini Tripod doubles as a tabletop tripod and a handheld grip support for a DSLR, point and shoot, compact camcorder or a Professional Monopod. The legs are rounded on their outer side, so the closed tripod provides a comfortable hand grip. When open, the tripod and head have a maximum height of 5.31″. Rubber feet prevent slipping and protect delicate surfaces. 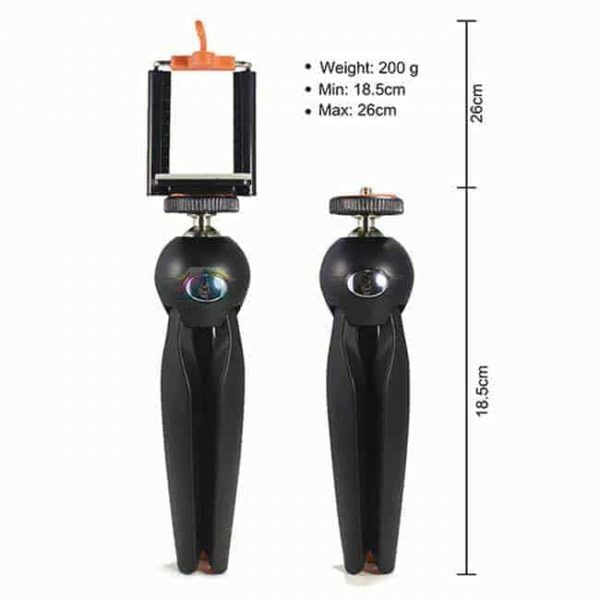 Fabricated from stainless steel and black Adapto polymer, the PIXI supports up to 2.2 pounds while weighing only 6.7 ounces. 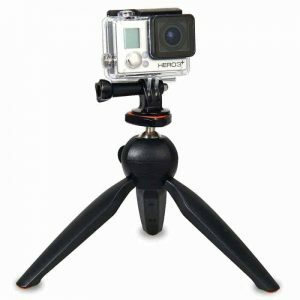 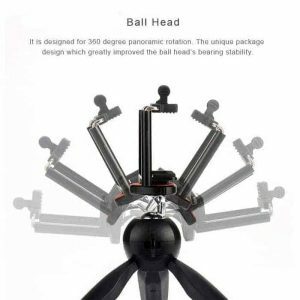 Its built-in ball head has a 1/4″-20 camera screw and a unique design that allows adjustments and locking with a single push button. 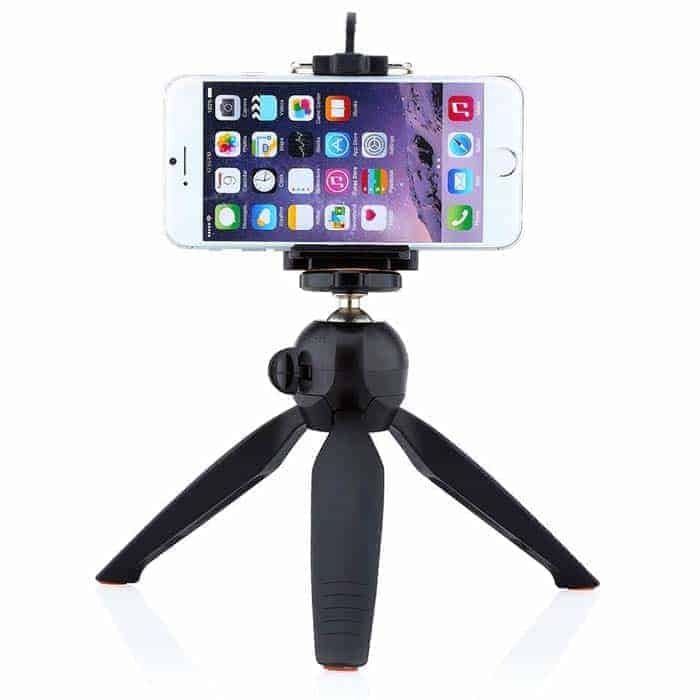 Besides cameras, the PIXI is also ideal for iPhones outfitted with the optional Yunteng Monopod, and other small devices.